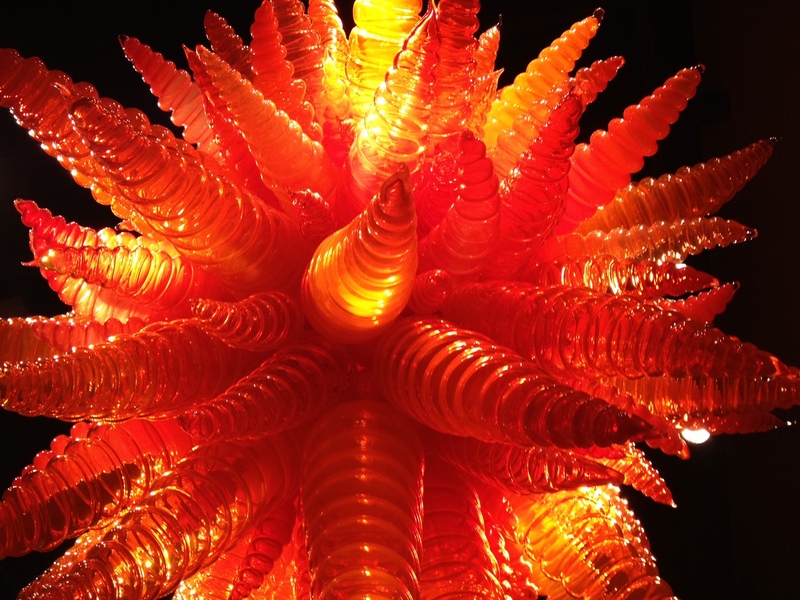 Inside the Glasshouse at Chihuly Garden and Glass. 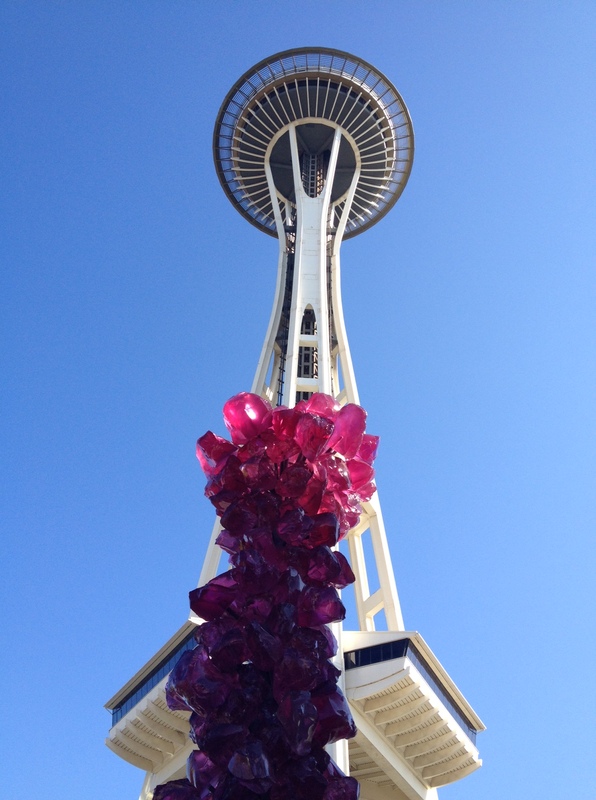 Last weekend we visited Chihuly Garden and Glass, right in Seattle Center next to the Space Needle. The exhibit opened last year, and I cannot believe I have waited so long to go! It was hands down one of the coolest exhibitions I have ever been to. 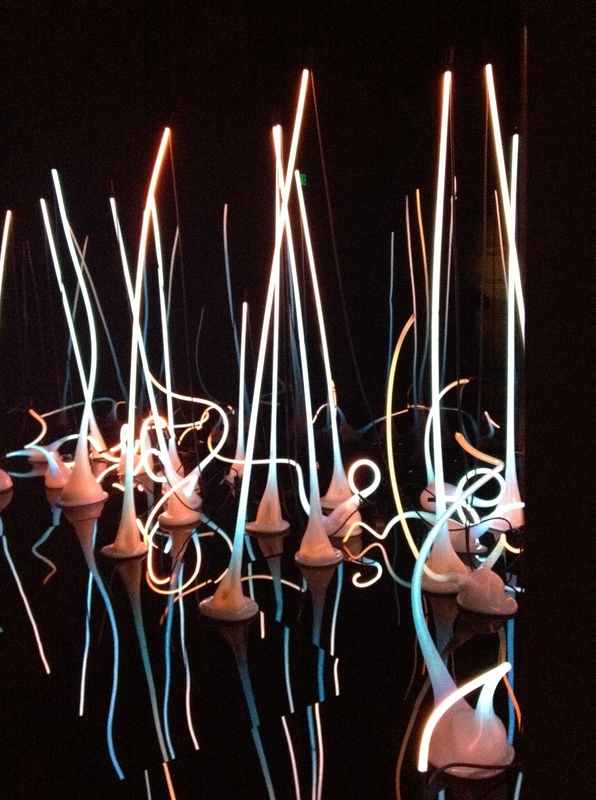 Dale Chihuly’s work is truly mesmerizing. That really isn’t news to anyone, but to see all of his different art in one place was astounding. Even his paintings were incredibly beautiful. 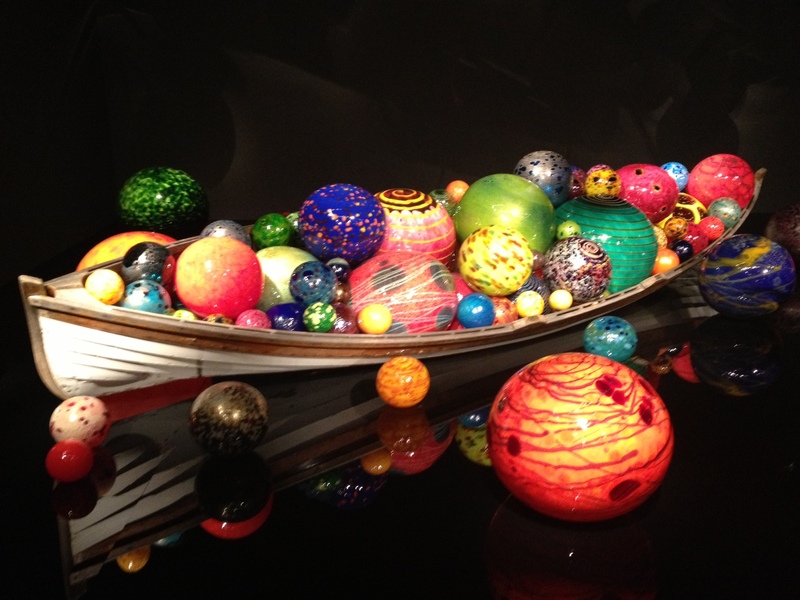 The boat and balls seem tiny and fake, when in reality they are huge! Coming from a dark museum to an amazing glasshouse and garden brought the experience full circle. The fact that you have a great view of the Space Needle isn’t bad, either. An incredible day. I really really want to turn this sculpture into a necklace and earrings. If you are visiting Seattle, I highly recommend a visit here. 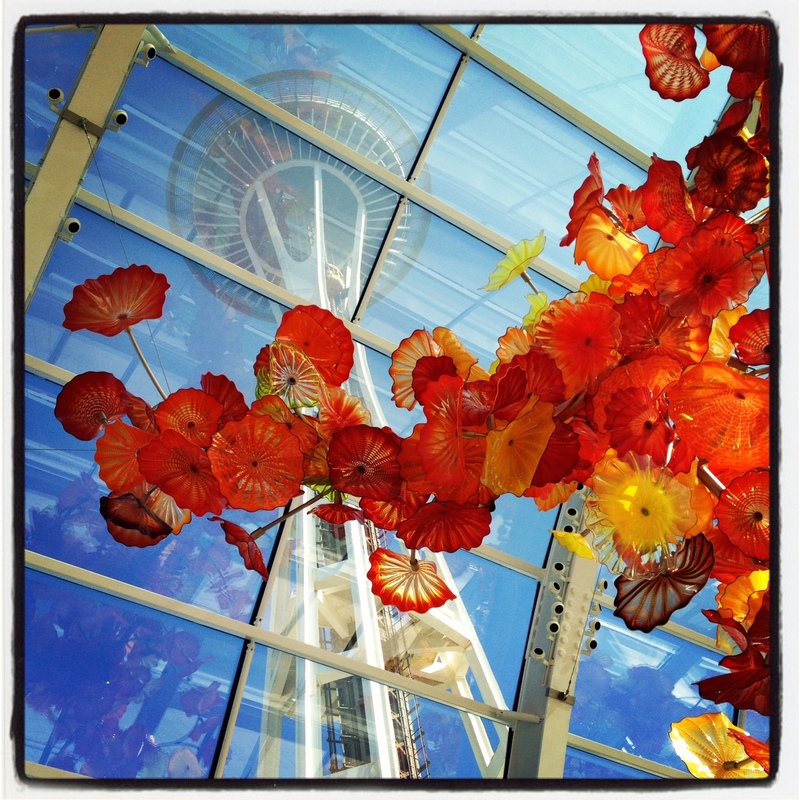 You can buy passes for both the museum and the Space Needle, which is your best value if you have never done either. 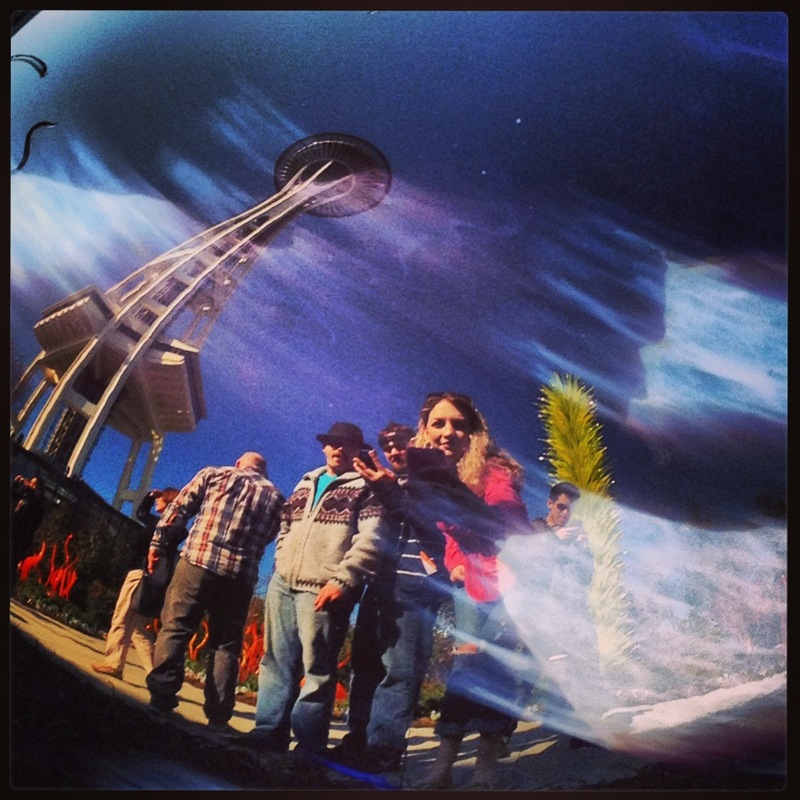 With the bounty that is Seattle Center, you could spend a whole day here! I have also read that The Collections Cafe is a great place to eat. It’s connected to the museum but you don’t have to pay museum admission to eat there. There is also The Armory at Seattle Center which has totally revamped it’s food court with local restaurants. Your pictures are awesome! I still need to go there!